Michelle Effros received the B.S. degree with distinction in 1989, the M.S. degree in 1990, and the Ph.D. degree in 1994, all in electrical engineering from Stanford University. 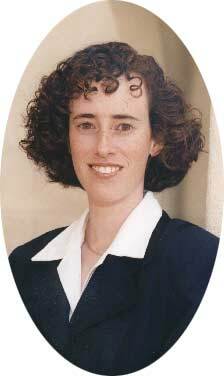 During the summers of 1988 and 1989 she worked at Hughes Aircraft Company, researching modulation schemes, real-time implementations of fast data rate error-correction schemes, and future applications for fiber optics in space technology. She is currently Professor of Electrical Engineering at the California Institute of Technology; from 1994 - 2000 she was Assistant Professor of Electrical Engineering; and from 2000 - 2005, Associate Professor. Her research interests include information theory, data compression, communications, pattern recognition, speech recognition, and image processing. Professor Effros received Stanford's Frederick Emmons Terman Engineering Scholastic Award (for excellence in engineering) in 1989, the Hughes Masters Full-Study Fellowship in 1989, the National Science Foundation Graduate Fellowship in 1990, the AT&T Ph.D. Scholarship in 1993, the NSF CAREER Award in 1995, the Charles Lee Powell Foundation Award in 1997, and the Richard Feynman-Hughes Fellowship in 1997. She is a member of Tau Beta Pi, Phi Beta Kappa, Sigma Xi, and IEEE Information Theory, Signal Processing, and Communications societies. She served as the Editor of the IEEE Information Theory Society Newsletter from 1995-1998, as Co-Chair of the NSF Sponsored Workshop on Joint Source-Channel Coding in 1999, and has been a Member of the Board of Governors of the IEEE Information Theory Society since 1998.